The White House just released its preliminary 2018 budget proposal, and it’s being touted as a “skinny budget” that slims federal spending and eliminates gratuitous, unimportant programs. The Trump administration did not spare NASA the rod, allocating $19.1 billion for the agency next year — a 0.8 decrease from 2017. The new cuts aren’t just a slice off the top of the cake. The proposal makes pointed, specific digs at specific NASA initiatives. Trump was partially elected on a mandate to trim federal spending and eliminate unnecessary projects. By way of the budget, the administration is essentially telling NASA — and the public at large — which space programs it believes are important and worthy of time and resources, and which are not. To that end, the budget proposal speaks volumes about what Trump wants NASA to prioritize, based on what’s being cut and eliminated. Here are the biggest programs, projects, and agency objectives which could take a hit next year if the proposal is enacted. After months of rumors, it’s finally official: the Trump administration wants to gut NASA’s Earth Science program. The 2018 proposal slashes $102 million from research dedicated to studying Earth’s atmosphere, weather, and climate. 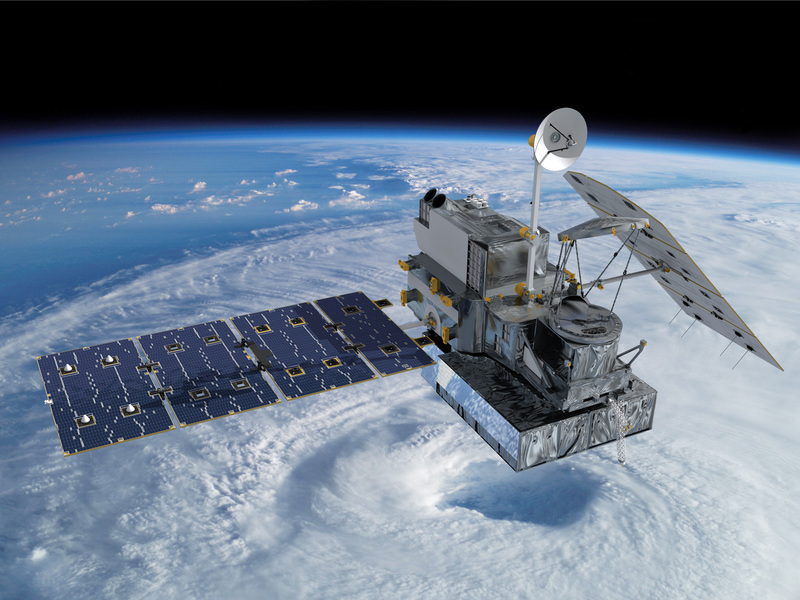 Besides cutting research grant funds, the budget specifically terminates four different Earth science missions: PACE, proposed mission to study and deliver data related to oceanic and atmospheric chemistry; OCO-3, a future instrument designed to specifically study global carbon dioxide levels; DSCOVR’s Earth-viewing instruments, which are also critical to helping measure global climate trends and patterns; and the CLARREO Pathfinder, a future mission which would collect data aimed at producing more accurate climate models. This is bad policy for a myriad reasons, which you can read here — but it’s also somewhat irrational. Some of these missions are already well out of the conceptual stage and being developed. CLARREO just received funding last year for a mission to demonstrate key technologies for the mission. DSCOVR is already in orbit, and turning off its Earth-viewing instruments would be simply wasteful. Regardless of how Trump feels about the climate-centric investigative goals for these missions, the data they would collect is also invaluable to meteorologists and forecasters who can provide early warning for major storms. NASA’s flyby Europa Clipper mission, which will look for signs of habitability and life on Europa, has already been greenlit, but there has also been extensive talk about and developing a lander portion which could collect data from the ground and study the Jovian moon on the surface. The budget proposal expressly nixes the development of a lander for Clipper. The chances of discovering alien life on Europa just took a significant dive. Clipper will still be an exciting mission, but certainly there is much more to learn on the ground than from a simple scan of the atmosphere. The White House and Congress both agree: the Asteroid Redirect Mission is crazy. Neither institution seems to believe ARM is a very useful mission. There’s a case to be made that the mission is a uniquely important way to test out technologies that will be very important to future space operations of all kinds — from human exploration of deep space, to asteroid mining through robotic hardware — but Trump and his team don’t buy that argument. Instead, the new budget proposal outright cancels ARM. This wasn’t an expected cut, but it’s also not very surprising. The administration says it will save $115 million by shutting down the Office of Education and bypass the need to problem-solve “challenges” that come with implementing an agency-wide education strategy. Trump has never been big on the idea of public education and using federal funds to teach American students (case in point: Betsy DeVos is Secretary of Education). Expect to see a lot fewer NASA-led programs going to different schools to get kids jazzed about space.